Going for a holiday? 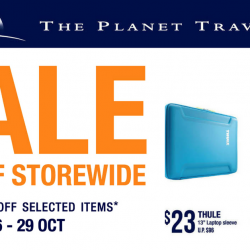 Get your holiday essentials at The Planet Traveller's Year End Sale with 20% off storewide and up to 70% off selected items! 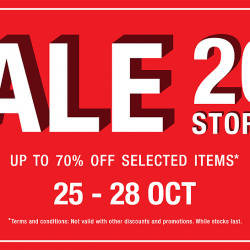 Head down to their stores or shop online from now till 28 Oct 2018! 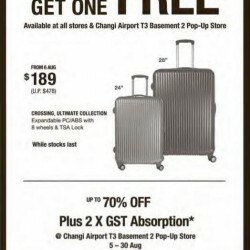 You can also check out their Ultimate Travel Goods Fair happening at Changi Airport Terminal 3 basement atrium from now till 11 Nov 2018. Singapore's Largest Travel Fair is happening from 2-14 Oct at Marina Square Central Atrium. Enjoy up to 90% off travel gear, luggage, backpacks & travel accessories! Special buys at great discounts from well-renowned brands, including: Eagle Creek, Klean Kanteen, Moleskine, Nalgene, Osprey, Pacsafe, Thule, Victorinox and many more. Citi Cardmembers enjoy an additional 10% off with $120 spend! 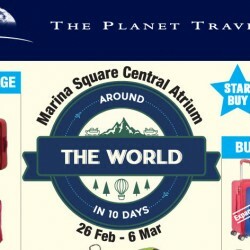 The largest travel fair is happening at Marina Square Central Atrium right now! Enjoy up to 80% off over 10,000 items across 80 international brands from The Planet Traveller from now till 27 August 2018! 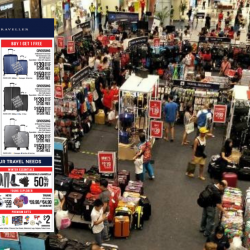 Enjoy great discounts off a comprehensive range of functional, fashionable and modern travel goods, and don't miss out on this chance to get your hands on attractively discounted products, ranging from travel and personal accessories to bags and winter apparels at The Planet Traveller! Get 20% off storewide and up to 70% off selected items from now till 29 October 2017. 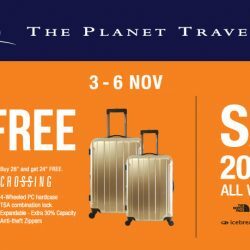 Buy 1 Get 1 FREE CROSSING luggage deal and 20% off Winter Wear now till 6 November at The Planet Traveller! 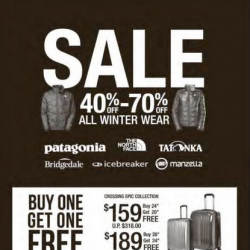 Get warm with winter wear brands like The North Face, Patagonia, Manzella, Buff, Bridgedale and Icebreaker now! Pack up on premium travel goods from Victorinox, Bric's. 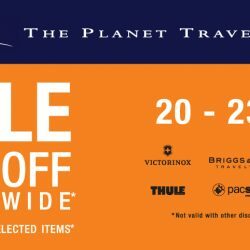 Briggs & Riley, Eagle Creek, Klean Kanteen, Mandarina Duck, Pacfsafe, Thule and more at The Planet Traveller from 20 to 23 October 2016 and enjoy 20% off storewide + Up to 70% off selected items. The Planet Traveller Around The World in 10 Days Travel Goods Fair (7-16 OCT) is back! 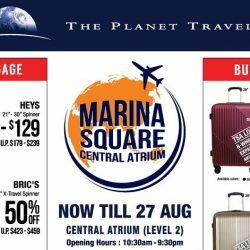 Visit them at Marina Sq Central Atrium L2 for the best deals from Bric's, Crossing, Eagle Creek, Mandarina Duck, Pacsafe, Patagonia, Victorinox and more! Expert speakers will be at the fair on weekends to share invaluable travel tips with you. 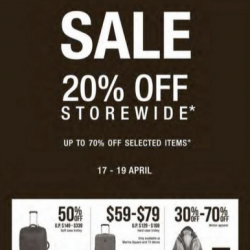 Enjoy up to 70% off selected items at The Planet Traveller from now till 26 July 2016. The Planet Traveller Mid Year Sale is happening from 14th-17th April, at all stores. Get 20% off ALL regular price items & up to 70% off for brands like Crossing, Mandarina Duck, The North Face, Victorinox and more! 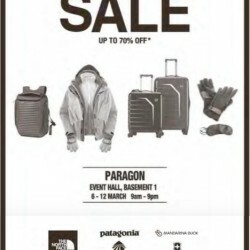 Travel Goods Sale continues at The Planet Traveller @Paragon till 12 March 2016. 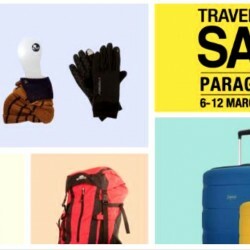 Up to 70% off premium travel goods from Crossing, Mandarina Duck, Pacsafe, Victorinox and more! 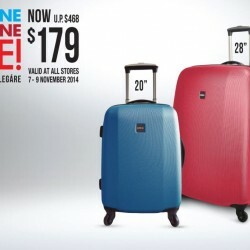 Look out for one-for-one luggage deals too! The Planet Traveller Travel Goods Carnival: Around the World in 10 Days will showcase brands like Bric's. Briggs & Riley, Mandarina Duck, Pacsafe, The North Face, Thule, Victorinox and more. 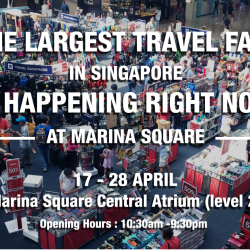 It will also offer Singapore's largest range of Travel Accessories and Gadgets from Eagle Creek, Go Travel, Travel Smart, Sea To Summit. Expect many one-for-one luggage deals and discounts up to 70%! There will also be travel workshops, fun-filled photo booth and "Spin The Wheel" to win attractive prizes! Buy one get one free Crossing, Ultimate Collection Expandable PC/ABS with 8 wheels and TSA lock at $189 (Usual price: $478). Available at all store and Changi Airport T3 Basement 2 Pop-Up Store. While stocks last! 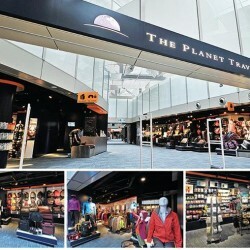 Get Up to 40%-70% Off All Winter Wear @ The Planet Traveller. Enjoy this moment Up to 70% Off Select Items + 20% Off Storewide @ The Planet Traveller. Paragon brings The Planet Traveller Sale up to 70% off until 12 March 2015. 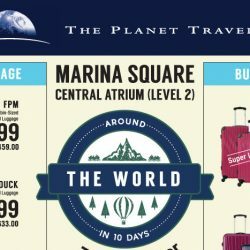 Enjoy 20% off purchases at The Planet Traveller (with min spend of $100) with every booking on ZUJI. With 4 centrally-located outlets, you won't have to go out of the way to make sure you are all ready for your holiday. Time to pack now! 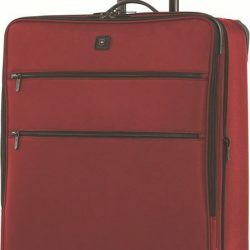 The Planet Traveller offers you Buy 1 Get 1 CROSSING Elegare 28" luggage and get a 20" FREE at $179 (UP $468)! 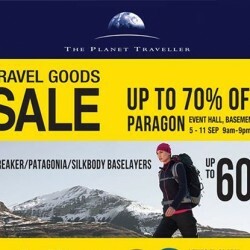 The Planet Traveller Travel Goods Sale. 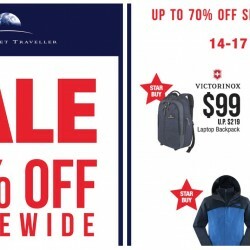 Get up to 70% OFF premium travel brands like Crossing, Eagle Creek Icebreaker, Mandarina Duck, Tatonka, The North Face, Victorinox and more!